Playfully known as “Salon de Melanie,” dinners at Australian consultant Melanie Brock’s house are sought-after affairs. With their host’s career in Japan spanning decades and boasting high-level contacts such as prime ministers, heads of corporations and sumo superstars, invitees never know who else might be at the table. However, as for her ideal party guests, Brock has thoughtfully curated a list of famous and not-so-well-known locals. “Politician Shinjiro Koizumi, because he also lived in Cairns and likes Vegemite. Yokozuna Hakuho, children’s author Eiko Kadono as well as director Hirokazu Kore-eda — I’d also like to hear about actress Kirin Kiki, who just passed away. Brock’s dinner parties began when she was working as a regional manager (Japan) for “the remarkably savvy” Australian beef industry in Japan. “A Japanese colleague suggested that we get a group over for some Aussie beef and wine, comprising some who were opposed, and some who were open to the upcoming free trade agreement,” Brock said with a smile, referencing the Japan-Australia Economic Partnership Agreement signed Jan. 15, 2015. Brock’s ability — and passion for — connecting people is well-known within Australian and Japanese corporate and political circles. Currently, both the upcoming Rugby World Cup and 2020 Olympics are keeping Brock busy. Excited about the events’ tourism potential, she sees them bringing benefits to both visitors and regional hosts, and offering Japan a much broader base from which it can profile itself. The 26-year veteran of Japan and chair emeritus of the Australian and New Zealand Chamber of Commerce in Japan is often described as “unabashedly Australian.” For Brock, said to be open, hardworking, persistent and inquisitive, the answer is a little more nuanced. Brock first arrived in Japan as a Rotary Club exchange student in Hachinohe, Aomori Prefecture. “I was absolutely stunned and upset. My girlfriends remember me crying, but now they tease me for not coming back,” she said. Brock later completed her studies in Japanese, focusing on translating and interpretation. 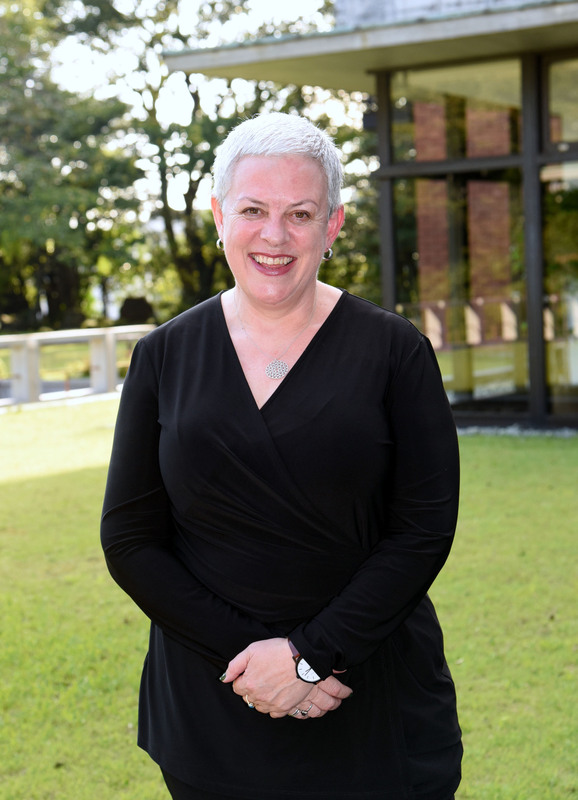 Stints followed at the Australian Embassy in Tokyo as the Japan-based director for Melbourne’s La Trobe University, and building her own consultancy after working with Meat & Livestock Australia (MLA). Working with MLA in the wake of the Great East Japan Earthquake and tsunami in Tohoku proved a focus for industry assistance. 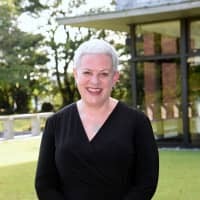 Via her additional role as board member of the Australia-Japan Foundation, Brock helped Tohoku and supported cattle farmers by delivering hay and fostering other industry initiatives, such as sending delegations on cross-cultural trips. Looking back at her work at MLA, Brock described it as a “great tale of adaptability, versatility and a commitment” to the market. “The industry started to look at how the buyers might be male, but the consumers are female. We had this program that valued the female decision-maker — the nutritionist, the menu planner, the marketing person or someone in product placement. All of those people in the Japanese companies or supermarkets — many are women. I learned a lot about listening and adapting to the needs of your customer and ongoing commitment,” Brock said. The role of women in Japan is another passion of Brock’s, and one that she is currently focused on with her Celebrating Women of Japan initiative. Gathering the profiles of local women and publishing them on social media, the project aims to highlight the various roles women play and give them more visibility. Part of this is to combat the “very underdeveloped” views outsiders have looking in, and instead, “provide a better understanding of the breadth and the depth of Japanese female engagement,” Brock said. For more information on Celebrating Women in Japan, visit: www.mela niebrockjapan.com/celebrating-women. Melanie Brock is CEO of Melanie Brock Advisory, a consultancy servicing the corporate, political and diplomatic sectors. Her clients include both foreign companies keen to establish or further develop their business in Japan, as well as Japanese companies looking to expand their global reach. First arriving in Japan as a Rotary Club exchange student, she studied at the University of Western Australia, and later at the University of Queensland, earning a Master of Arts in Japanese, Conference Interpreting and Translation. The former regional manager (Japan) for Meat & Livestock Australia, Brock is chair emeritus of the Australian and New Zealand Chamber of Commerce in Japan and a member of the Australia Japan Business Co-operation Committee. Brock remains passionate about assisting with Tohoku reconstruction activities in the wake of the Great East Japan Earthquake and tsunami, as well as spearheading the Celebrating Women of Japan initiative.